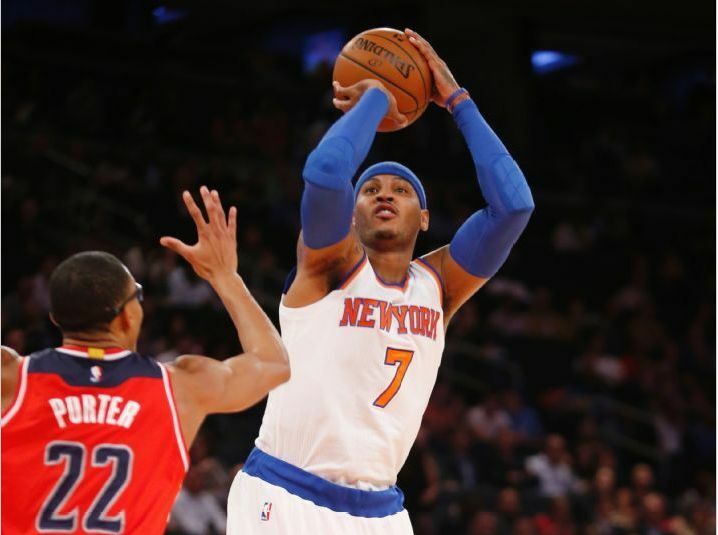 A tie-breaking three-point play in the final 13 seconds from Carmelo Anthony was enough to hold off the Washington Wizards and close out the Knicks’ preseason record at 3-3. Melo had 30 points on 11/19 shooting, along with 3 rebounds and 3 assists. As usual, the Knicks made it harder than it needed to be through a combination of leaky defense (3-point coverage, issues with guard penetration) and errant passes. Changing a team’s culture takes time, so fans need to be prepared for an uneven season. What is promising is that the effort and direction is there. The Knicks will get thrown right into the fire next Wednesday when they open the season against the Chicago Bulls.